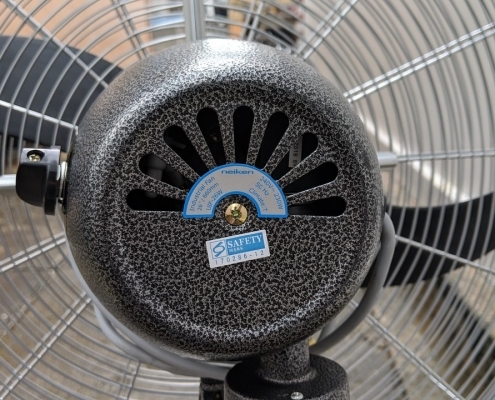 One of the most popular items we have for rental is our industrial standing fans. Built with a larger diameter and larger blades than traditional household fans, these industrial fans are about 50% stronger than your average fan. Our industrial fans come with 3 different speeds that you can tailor on the motor itself. It can be connected using the traditional power outlet plugs or a weatherproof connection. They have a heavy base as well which makes they extremely durable and heavy duty for warehouse use or for events. 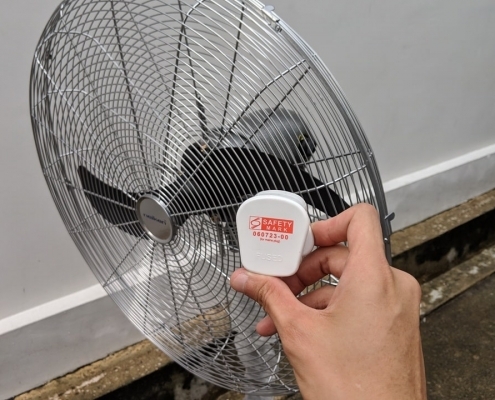 All our fans come with a safety mark and we only use reliable brands that are well known in the market such as Super and Neikon. We also allow for the purchase of our fans. However, do note that we have both brand new fans and used fans so be sure to specify which you need. 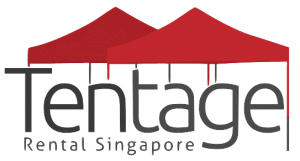 Probably the most important item for any event or function, fans are an absolute must for events in Singapore. 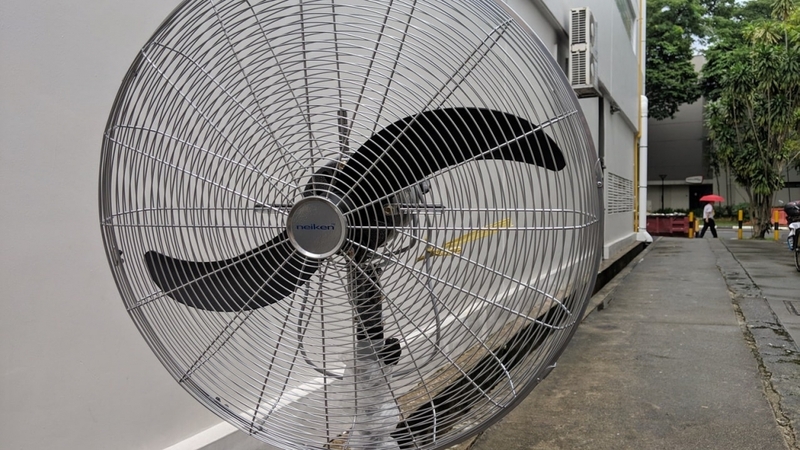 We have a large selection of fans for different purposes with the intention of either cooling down an area or to keep a particular space dry by the use of a floor blower. Our fans need to be powered either via a generator or by a power source. 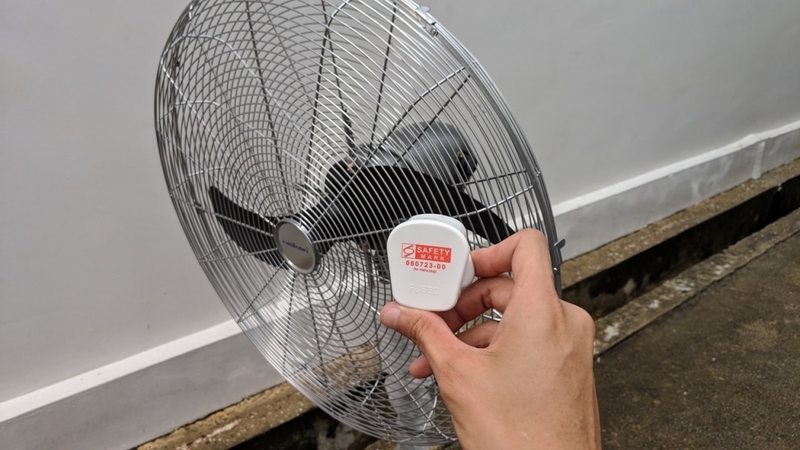 For HDB estates or government-owned properties, you have to seek approval before you can plug into their power source. 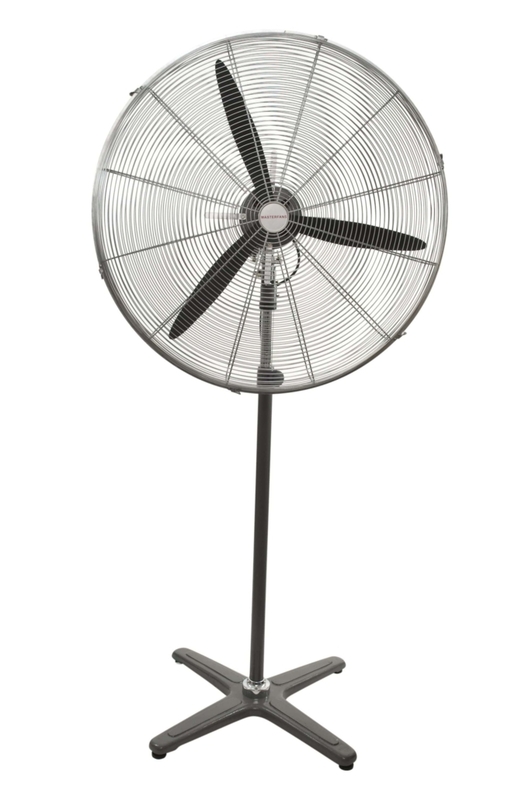 There are a few types of fans that can be attached to tentages so it doesn’t take up your space on the group. Ceiling fans are the most basic while the 3 bladed fans provide more efficient cooling. For tentages with more pillars, you can also opt for pillar mounted industrial fans. These fans are attached to the top of tentages and will rotate 360 degrees to provide direct cooling. 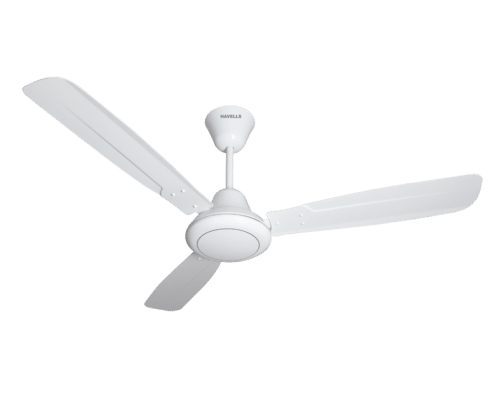 While these fans are not as effective as our 3-blade ceiling fans, they act as additional fans for circulation in conjunction with the bigger fans. 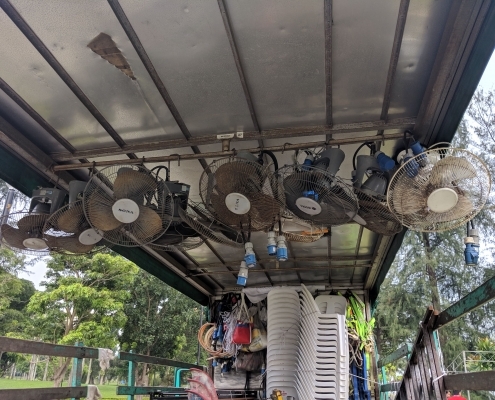 For smaller tentages such as gazebo tentages, these fans are the only option due to the size. Probably the most recognisable fan, these fans can generate more than 3x the amount of wind when compared to the ceiling rotating fans. 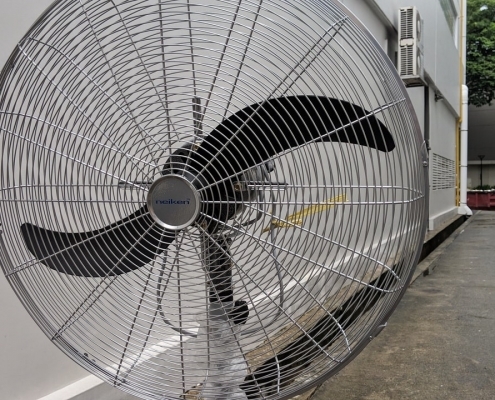 They are most commonly found on medium to large sized tentages and should be placed within 10ft-15ft of one another for the most efficient cooling. The fans are not suitable for smaller tentages however due to the space constrain. For those tentages, either a standing fan or rotating ceiling fan will be recommended. Industrial standing fans are not your standard fans when it comes to wind generation strength. These fans move more than 3 times the amount of your household fans. They are also wider in diameter and have a stronger motor. Industrial fans can not only be used for events but also office or warehouse spaces. They too use the same 240v socket to power the fans. Floor blowers have the sole purpose of keeping the floor dry especially for key areas such as bathrooms, shower areas or anywhere that needs to be kept dry. 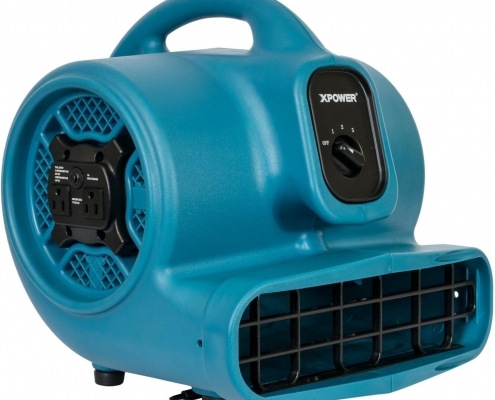 Our floor blowers are powered using 240v socket and can be rented for a short or long term. Evaporative coolers, also known as air coolers are the ultimate when it comes to nonair-conditioned cooling. 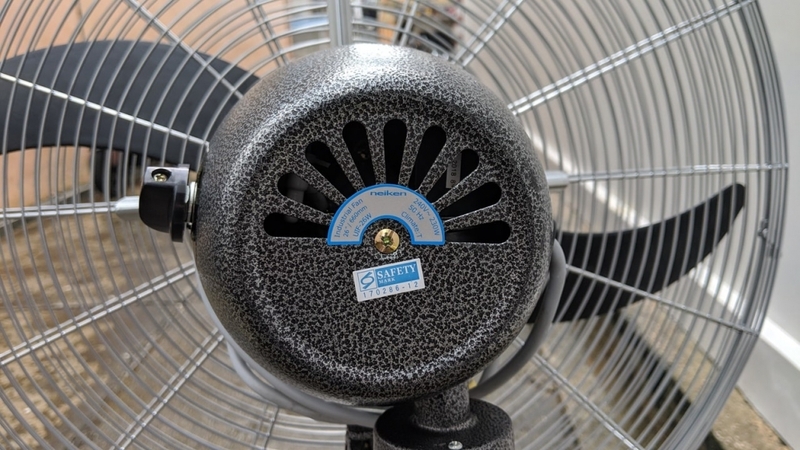 They are much more effective than your traditional fans because it cools down an area through the evaporation of water. It is slightly different from air condition systems where it uses vapor compression. While providing more than sufficient cooling, air coolers are bulky and hard to transport around. As such, they should only be used for larger scale events where there is ample space to install. There is also a need to top up water if your event spans more than 1 day to retain it’s cooling. Your everyday familar fan, these are more suitable for domestic or office use. Our fans can be rented for either short stints or long term rental. 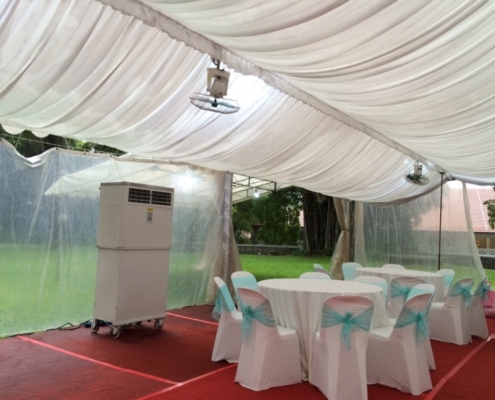 Our clients usually purchase it for temporary events or ad-hoc events which requires personal cooling.